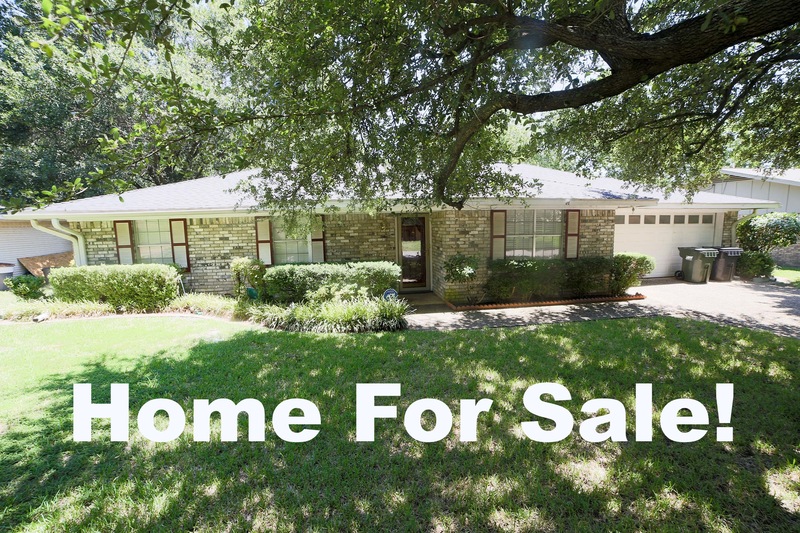 Come and see this REDUCED PRICE Home! Motivated Seller! Please call me for more info. Phyliss Jones (903) 654-0337. 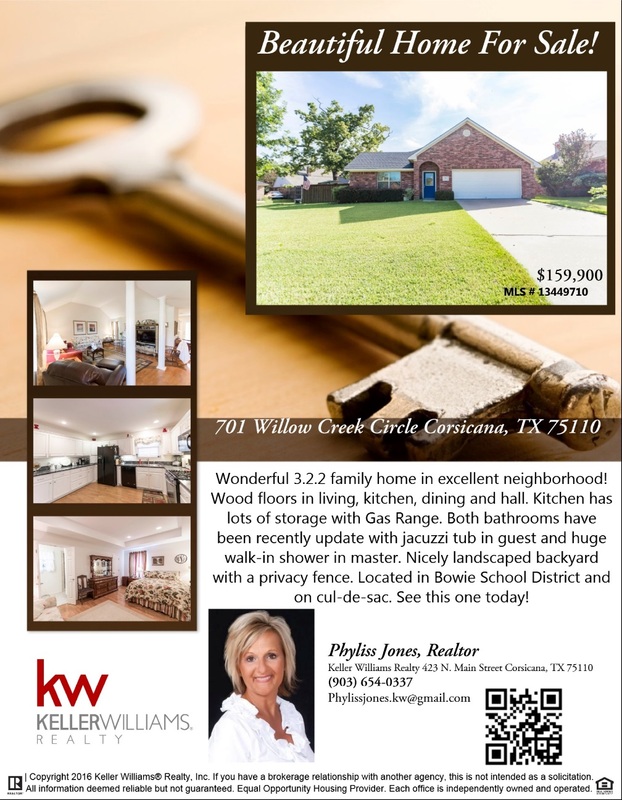 Wonderful home Available! to know more please call me Phyliss Jones (903) 654-0337. 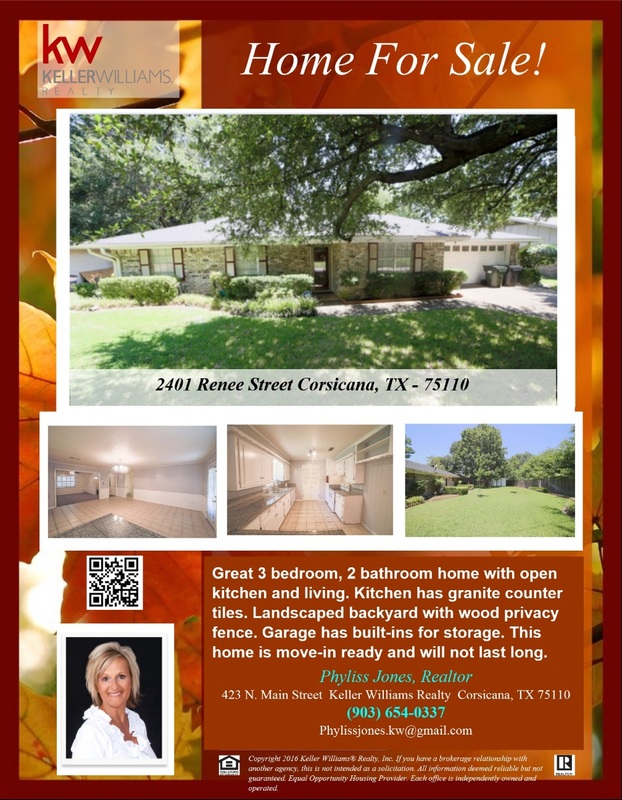 Wonderful Home in Corsicana! Call now to know more. Phyliss Jones (903) 654-0337. Beautiful Home in a Beautiful Neighborhood! Please call me for more info. Phyliss Jones (903) 654-0337. 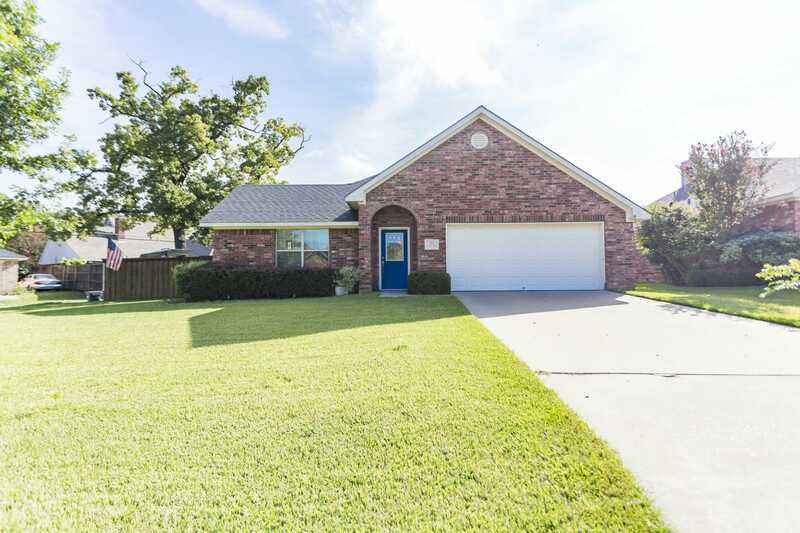 Come and check out this Beautiful home for sale in Corsicana! To know more you may call me Phyliss Jones (903) 654-0337.